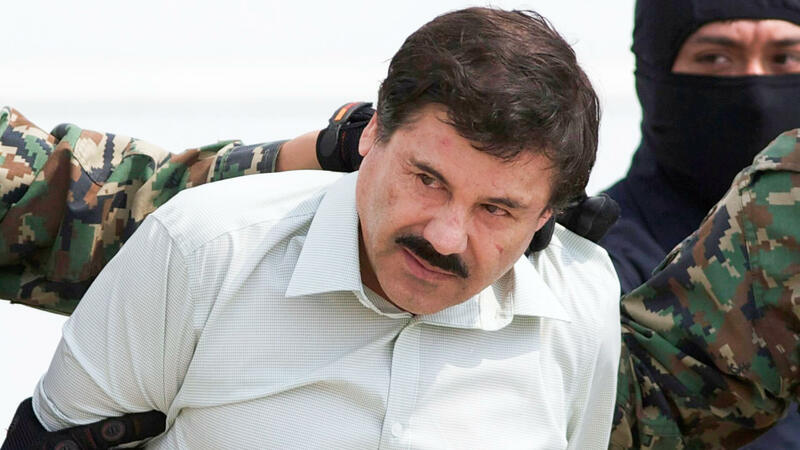 Joaquin “El Chapo” Guzman is the alleged former boss of one of the largest and most violent drug cartels. On Feb. 12, El Chapo was found guilty on 10 criminal counts at his trial in Brooklyn, N.Y.
El Chapo’s net worth is hard to define, but Forbes estimated his fortune at $1 billion in 2009. Notorious drug lord Joaquin “El Chapo” Guzman made a career out of artfully dodging authorities until his capture and U.S. extradition from Mexico in 2017. On Feb. 12, El Chapo was found guilty on 10 criminal counts at his trial in Brooklyn, N.Y. The counts included “engaging in a continuing criminal enterprise” and “international distribution of cocaine, heroin, marijuana and other drugs, and use of firearms,” according to CNN. One of the striking developments in the trial, which began in November 2018, took place during the January testimony of Alex Cifuentes Villa, a former lieutenant in the Mexican Sinaloa cartel. Villa named Enrique Peña Nieto, the former president of Mexico, as taking a $100 million bribe in exchange for calling off the nationwide El Chapo manhunt in 2012. The startling allegation resulted in Francisco Guzman, Peña Nieto’s former chief of staff, denying the claim on Twitter, and he called the accusation false and defamatory. Here’s a look at El Chapo’s history and net worth. The massive dollar amount of the alleged bribe brings up El Chapo’s net worth. In 2009, Forbes estimated his fortune at $1 billion — an amount high enough to earn El Chapo a spot on its billionaires list. However, a fortune built on decades of brutality and nefarious and murderous behavior isn’t exactly above board or easily audited. Details surrounding El Chapo’s personal life are just as elusive as his personal wealth, but what were just speculative rumors about his lifestyle are now crystallizing through trial testimony and evidence. El Chapo’s extravagance extended to a yacht, several properties with one mansion having a private zoo on top of the structure, a diamond-encrusted, monogrammed pistol and a gold-plated AK-47. It’s believed that El Chapo has been married three times and sired around 12 or 13 children. Keep reading about celebrities who have been convicted of tax evasion. Gwyneth is expanding her Goop empire with a Netflix deal.